Showing 1 - 5 of 5 articles tagged "Anita Hill"
Is SNL's famous 1991 Clarence Thomas hearing sketch problematic in the #MeToo era? The October 1991 sketch featuring Tim Meadows as the future U. 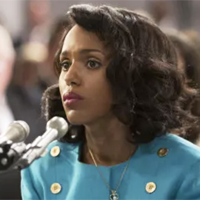 Does HBO's 2016 Anita Hill hearing film Confirmation still hold up? Tipping Point: Sexual Harassment in America airs Thursday at 9 p.